“He does not really seem human to me,” – Luis Enrique. For the generation of football fans that have watched the sport from 2005 onwards, there have only been two players who are worthy of being crowned the G.O.A.T. Their names are synonymous with talent, class, consistency, success and greatness, and the past decade is indelibly stamped with the mark of their iconic rivalry. But as with all good things, even greatness itself must eventually bow before Father Time, and with both Lionel Messi and Cristiano Ronaldo on the wrong side of 30, it is time we start preparing for the end of an era. Messi is now 31 years old, and in June he will turn 32. For football fans across the world, his retirement is a terrifying prospect to think about, and for Barcelona fans in particular, his departure will mark a watershed moment in the history of the club. Questions abound as to what the club will look like when La Pulga has hung up his boots, and while most fans are looking to the transfer market for answers, the success of FC Barcelona in the post-Messi era will depend on what kind of President is leading the club. This is because the future departure of La Masia’s greatest export has the potential to trigger a massive power struggle at the heart of the club, and if history has taught us anything, this clash will be between the traditionalist and the modernist camps. These labels of ‘traditionalists’ and ‘modernists’ might sound odd, but it is vital to comprehend them in order to understand the looming power struggle in the Camp Nou, and a journey into the history of this glorious club will provide all the context we need to understand this clash. As always, the story begins with the legendary Johan Cruyff, who made his return to Catalonia in the 1988-89 season when the club was in debt and in crisis. At the time of the Dutchman’s arrival, results were bad and morale had never been lower, and both the management and the fans had largely abandoned the club by leaving it to its own devices. For a club whose motto proudly declares them to be ‘More than a club,’ this was a terrible state of affairs. After all, FC Barcelona is the living embodiment of the immense pride and success that is so unique to Catalonia. Faced with this predicament, Cruyff (who had cut his teeth as a manager when in charge of Ajax) began to implement his vision of Total Football in a gradual and deliberate manner, and by bringing in players like Michael Laudrup, Hristo Stoichkov, Txiki Begiristain and Josep Guardiola, he ushered in the era of Barcelona’s tremendously successful ‘Dream Team’. Greatly influenced by the legendary Rinus Michels, Cruyff sought to implement a style of football which was free-flowing and adventurous, with dominance of the ball and occupation of space being the two pillars of his footballing ideology. While it was the attackers like Stoichkov and Romário that got all the praise, the real star of the show was Guardiola, who dictated the pace and tempo of Barcelona’s play from his pivote position in front of the defence, and it was here that Guardiola conceived his idea of the sole holding midfielder that is such a crucial component of his teams. As a player, the Catalan was slow and lanky; he didn’t have a natural propensity to tackle like West Ham’s Declan Rice or Chelsea’s N’Golo Kanté, and he didn’t have the stamina to run from box to box and cover ground like Napoli’s Allan or Juventus’ Blaise Matuidi. Instead, he had to rely on his other skills in order to maintain his starting spot at the base of midfield. Combining an incredible passing range with a canny awareness of opposition defenders’ movements, Guardiola played defence-splitting passes from around the halfway line, and it was during this formative time that the now Manchester City coach received his first lessons in organising and managing a team. In this way, Cruyff was laying the foundations for Barcelona’s success in the future by cementing the importance of the pivote role, a role that has seen the likes of Yaya Touré, Edmilson and Sergio Busquets flourish. But while Cruyff built the effortlessly graceful Dream Team, his greatest legacy was the development of Barcelona’s famed youth academy La Masia. La Masia had already been in existence for seven years when Cruyff took over, but it was the Dutchman who built the academy into the talent factory that it is today. All age groups were trained in the 3-4-3 formation with a strong emphasis on possession and space utilisation; Cruyff received this footballing education at Ajax under Michels, and he saw it fit that Barcelona’s future players learn the same way. While the element of pressing was added later, the ideas of possession and ball control remain the fundamental skills that are imparted in Barcelona’s academy. The likes of Xavi Hernández and Andrés Iniesta developed into two of the greatest midfielders in history thanks to these training drills and coaching sessions; without Cruyff, La Masia would not be one of the most unique and productive academies in world football. But Cruyff did not just influence Barcelona as a coach: the Dutchman had a far more indirect impact on the club than most realise. In 2003, a Catalan lawyer named Joan Laporta ran for the club presidency on the promise of restoring Cruyffian ideals to Barcelona, and after winning the election, he consulted with Cruyff as to who should become the next coach of Barcelona. Cruyff immediately pointed him towards Frank Rijkaard, who had played under Cruyff at Ajax, but appointing him as coach was a quantum leap of faith for Laporta. Rijkaard had just overseen the relegation of Netherlands’ oldest club for the first time in its history, and with Barcelona currently enduring its worst era in 25 years, Laporta needed to convince the socís that the next man in charge would guide them back to the promised land. And although Barcelona had gone through five managers in the three seasons of Joan Gaspart’s presidency, Rijkaard–whose only season managing at the club level saw Sparta Rotterdam finish 2nd-bottom with a -49 goal differential–was hardly an upgrade. Nonetheless, Laporta kept faith in Cruyff’s judgment and appointed the Dutchman as head coach. While the initial results were disastrous, the team soon stabilised and results eventually began to show. The additions of Deco and Ronaldinho in 2004 and the emergence of Messi in the subsequent season saw the club claim the La Liga in 2005 and the league and UCL double in 2006, vindicating Laporta’s choice to trust Cruyff. Under the watch of the legendary Dutchman, who in 2010 was given the title of honorary president at Barcelona, Laporta and Rijkaard rejuvenated a team that was teetering on the brink, and set the stage for an unprecedented era of success under the incoming Guardiola. Like Rijkaard, Guardiola didn’t have a fantastic résumé as a coach–he had only coached one season, where he achieved promotion with Barça B. But rather than Michael Laudrup, a Barcelona legend who had just led Getafe to the UEFA Cup quarterfinals and the Copa Del Rey that very season, or José Mourinho, who had won the Champions League with Porto and won back-to-back league titles at Chelsea, Laporta once again trusted Cruyff’s recommendation. This, in essence, explains the position of Barcelona’s traditionalist camp: they hold a strong, unwavering belief in the Cruyffian ideals of youth development and possession-based football, and they refuse to let the club turn into yet another corporate entity. Despite the club’s immense financial success, they want Barcelona to continue to rely on its youth and to spread the ‘Més Que Un Club’ philosophy far beyond the borders of Catalonia. The traditionalist school of thought holds undeniable appeal for the Blaugrana idealists and romantics, but there are some skeptics who believe this way of thinking is misguided at best. These skeptics can be classified as the ‘modernists,’ embodied by the club’s past two presidents: Sandro Rosell and Josep María Bartomeu. The former held the presidency from 2010 to 2014, when he was forced to resign from his post after being investigated for misappropriation of funds when negotiating the purchase of Neymar from Brazilian club Santos. While his resignation caused plenty of controversy, Rosell has always been a singularly peculiar figure in the Camp Nou, whose two tenures at the club coincided with Barcelona’s tremendous on-pitch success during and after the Guardiola era. Rosell contested the 2010 elections against his former ally Laporta, with whom he had a falling out during the 2005 season. A former Nike executive who was personally responsible for bringing Ronaldinho to the Camp Nou, he resigned from his position as Vice President during the Rijkaard era. While he refused to challenge Laporta in the 2006 elections, he emerged again to contest the 2010 elections after Laporta faced a vote of no confidence by the club members. Rosell accused Laporta of mismanaging finances and burdening the club with a massive amount of debt, and his stated aim was to bring Barcelona on par with the biggest players in the game at the time. His victory marked the beginning of a project that took the club away from its ‘Més Que Un Club’ roots, as Barcelona was reborn as a commercial machine, with the first step of this process being the Qatar deal. For a long time, Barcelona had worn the UNICEF logo on their jerseys, as part of a deal where the club paid the organisation for the honour of sporting their logo, rather than the other way around, in an inversion of general sponsorship deals. However, Rosell claimed that this was yet another instance of poorly managed finances, and immediately signed a deal with Qatar Airways that brought massive financial rewards to the club. In signing a £125 million, five-year contract with Qatar Foundation, Rosell put a dent in the club’s colossal debt, yet attracted the ire of those who felt that the club was losing touch with its local roots. Following the shirt sponsor deal, Barcelona dipped into the transfer market for marquee signings. David Villa (Valencia), Javier Mascherano (Liverpool), Cesc Fábregas (Arsenal), Alexis Sánchez (Udinese), Jordi Alba (Valencia), and Alex Song (Arsenal) arrived in Catalonia, but it was the capture of Neymar (Santos) that defined the Rosell era. These movements in the transfer market were accompanied by a fire sale of emerging academy products, as Rosell looked for ways to recoup the transfer outlays, marking a further deterioration of the Cruyffian values that had come to define Laporte’s Barcelona. Bojan Krkić, Thiago Alcântara and Andreu Fontás, among others, left for more playing time between 2011 and 2013, but the decisive premonition came in 2010, when Rosell removed Cruyff from the position of Honorary President. As a result, Cruyff swore he would never return long as Rosell was in charge. While Neymar represented a statement signing for Rosell, he was also responsible for the his downfall, as Spanish authorities discovered that the final fee that Barcelona paid to Santos was much higher than what was officially reported. This controversy ultimately forced Rosell to step down, and his trusted ally (and incumbent President) Josep María Bartomeu was appointed to see out the remainder of his term. As an ally of the now disgraced ex-President, few expected Bartomeu to move away from Rosell’s plan, and after winning re-election in 2015, Bartomeu brokered a deal with Japanese e-commerce company Rakuten that saw them replace Qatar Airways as the club’s shirt sponsor. The contract is the biggest sponsorship deal in history, and it has enabled the club to begin their “Espai Barça project,” which will see the Camp Nou expand to a 105,000-person capacity. Combined with the funds generated from the sale of Neymar to Paris Saint-Germain, the Rakuten deal has provided the ammunition needed for the big-money captures of Phillippe Coutinho, Ousmane Dembélé, and Frenkie De Jong. Gone are the days when a Barcelona manager was able to field a team of 11 academy graduates like Tito Vilanova did in 2012. Ernesto Valverde now relies on the likes of Marc-André Ter Stegen, Clément Lenglet, Ivan Rakitić, and Luis Suárez to support the tiny core of academy graduates (Piqué, Busquets, Messi) remaining at the club. And although a handful of La Masia talents will have the chance to become key parts of Barcelona’s post-Messi era, they’ll have to compete with some of the best youngsters in the world to do so. This ultimately is the position of the modernists: these men believe in commercialising Barcelona to the fullest possible extent in order to make the club an unrivaled market player, capable of purchasing the biggest names in the game each summer. Barcelona may very well win their second treble under Bartomeu this season, and it would be foolish to call Bartomeu’s reign anything but a glamorous period for the club’s results. But in its steady march to success, this modernist model is threatening to rip apart the very fabric and soul of FC Barcelona. This loss of identity is shrewdly camouflaged in the message that Barcelona is simply transitioning to a new age, and the oil money of PSG and Manchester City is held up as evidence of the necessity to pivot from the Cruyffian model that had for so long characterised the club. “Money is secondary. Before anything else there should be principles, values. Barça has lost them,” – Johan Cruyff, just days before Joan Laporta lost the 2015 presidential election in a bid to dethrone Bartomeu. Considered for so long to be the institution that represented old-fashioned values, Barcelona, in its current management, has lost its connection with its roots, becoming just another entity that thrives as part of the commercial marketing and branding complex. 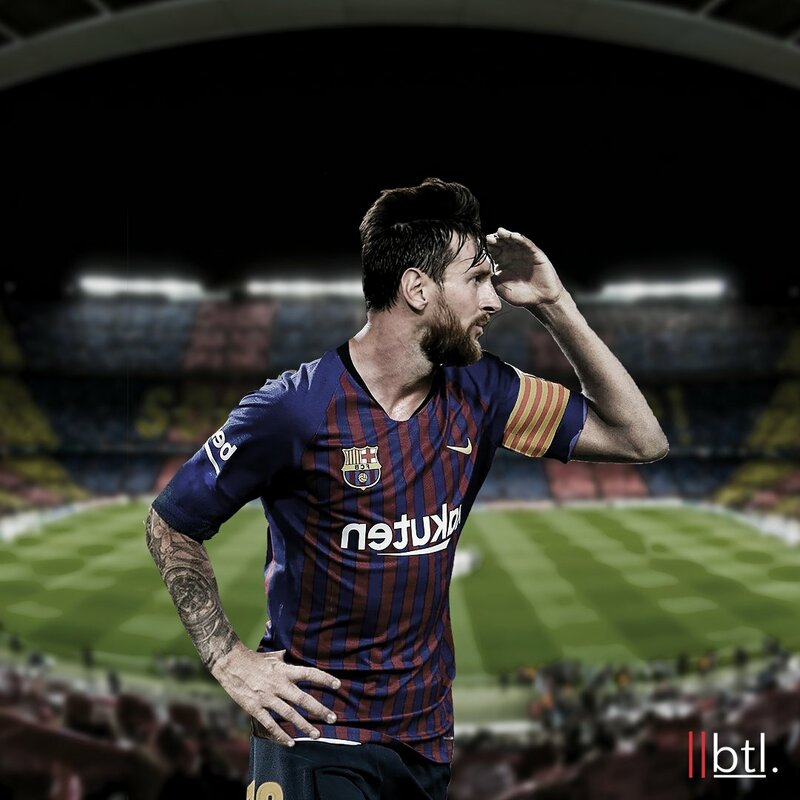 Like Cruyff says, values and principles should come before money, but it is increasingly becoming the other way around for Barcelona, and Messi’s departure has the potential to exacerbate this shift in ideology. Barcelona must rediscover its belief in youth development and stay as independent as possible in the face of corporate sponsorship offers, because the tag of ‘Més Que Un Club’ depends on it. A fight for the heart and soul of the club is on the horizon, and as La Masia’s greatest creation wages war with Father Time in a bid to prolong a glorious career, Culés everywhere must pray that the Cruyffian vision of organic growth prevails over Rosell and Bartomeu’s twisted interpretation of commercial survival.